Is your foundation cracking and crumbing? If so, applying a special coat of parging is often recommended to enhance appearances. While parging provides a quick way to fix aesthetics, it is not necessarily the best answer in order to secure the longevity of your concrete walls. In most cases, restoring foundation walls provides a far more permanent solution with a much more attractive appearance. At Turnbull Masonry we are all about providing services that are guaranteed to last, adding ongoing value to your home or commercial location. Due to demand, we do offer parging services but if there is a better option we are happy to help you uncover it. When Is Foundation Parging Used? Parging is used as a coat, applied using a trowel to the smooth concrete surface at the bottom half of a masonry structure. Over time this surface can start to take a beating from the weather and other elements, causing it to appear worn out. 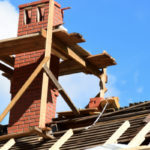 Depending on how severe the damage is, parging can be a recommended solution. But is it the best possible solution for you? Should You Repair Foundation Walls With Parging? With time masonry foundation walls are going to show signs of wear and tear, requiring some form of maintenance in order to keep up appearances and prevent further damage from arising. 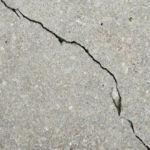 Cracks and holes are the quickest way water and other elements can get into your structure and cause damage. 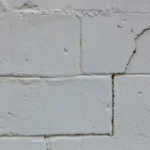 For older buildings, cracked, crumbly, or otherwise worn walls may need to be completely restored, as parging cannot provide adequate results. For instance, if parging is applied over water damaged surfaces, with water still trapped beneath, the water will have nowhere to go. Causing moisture to flow into another part of the wall and instigate further damage. Parging might seem like the most affordable option, but restoring your foundation walls is the only way to guarantee minimal maintenance and long lasting results. On the other hand, parging tends to fail within very little time, meaning it requires a lot of consistent maintenance. So while parging might save you money in the immediate, it is not going to offer many favors over the long run. 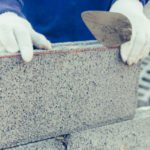 At Turnbull Masonry we are experts on all facets of masonry work, including parging. While it’s not usually the first service we recommend, if it is the right option or the option you want, we use a very systematic and detailed approach to grant you the best results possible. Parging might seem like a simple process but it does take an eye for detail, background knowledge, and the correct tools for the trade. When done incorrectly, parging can turn into a clumpy and crumbly mess. When properly conducted, parging will appear as a fresh, smooth surface that can include personalized textures. Turnbull Masonry is the trusted name for top quality masonry work at competitive prices. We don’t cut any corners, in proof we offer a unique warranty system on all of our restorations and rebuilds. From our family to yours, every service that we provide is of superior quality, as your satisfaction is our number one priority.